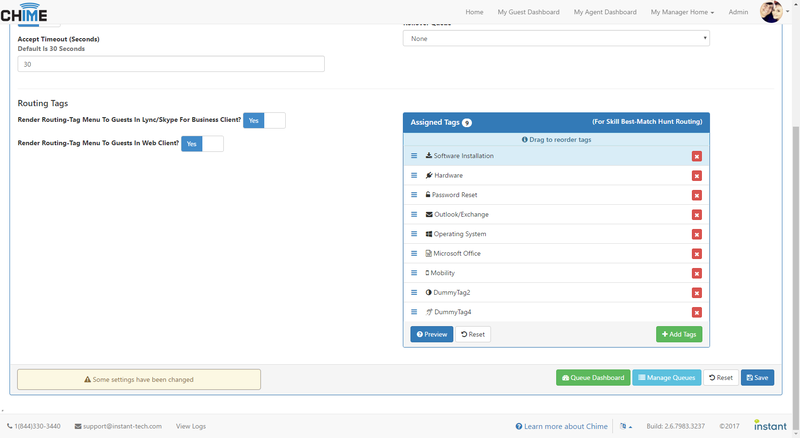 Have a sneak peak at some of the features we've added to Chime. 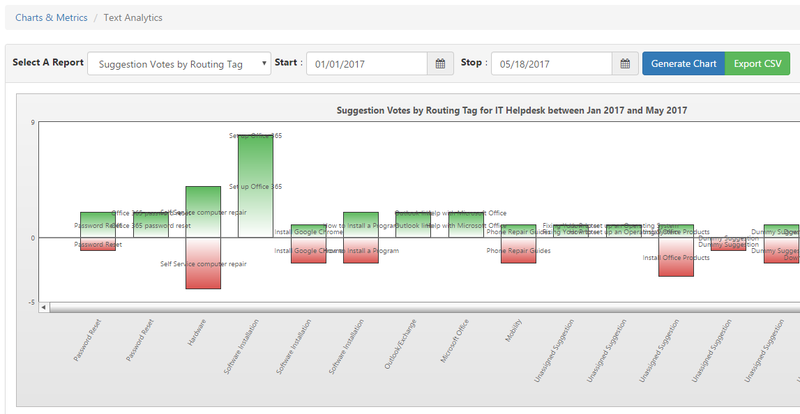 Have a suggestion or see something you really want us to include? 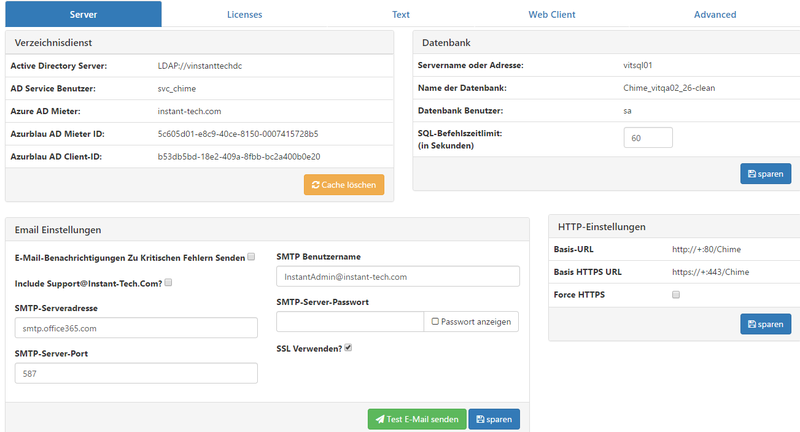 Let us know at InstantDev@instant-tech.com. 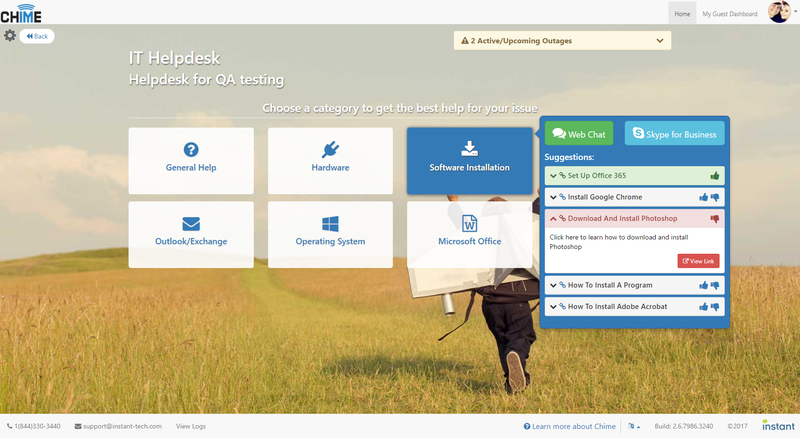 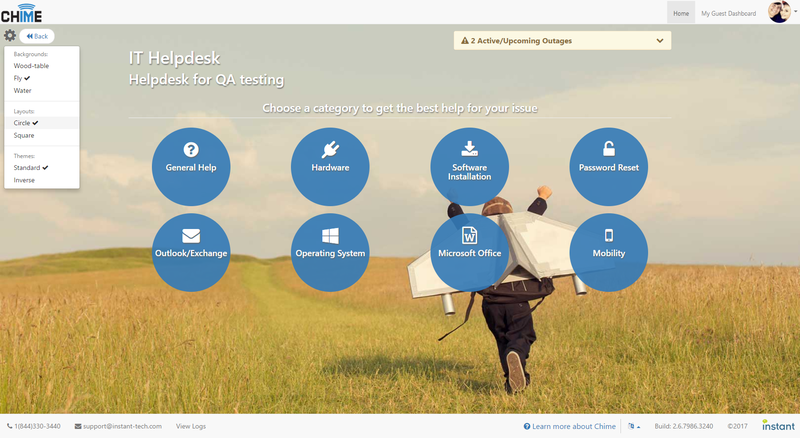 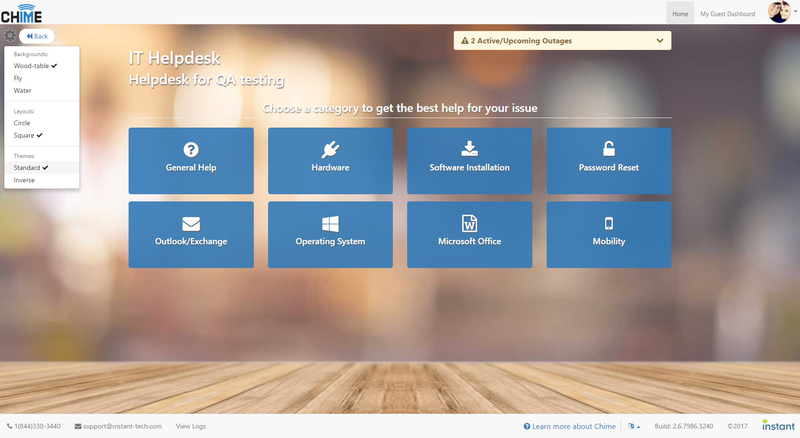 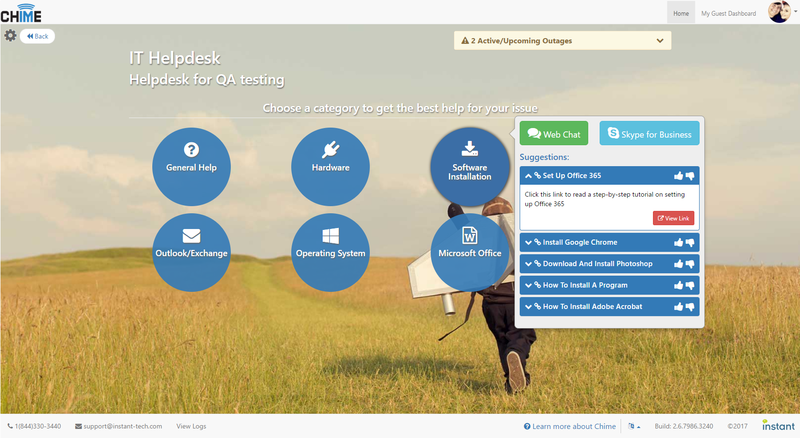 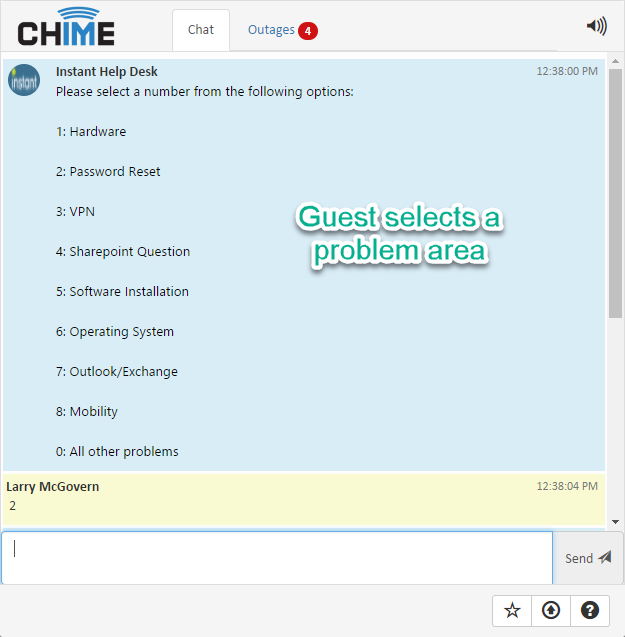 One of the biggest additions to Chime 2.6 is the all new out-of-the-box guest experience. 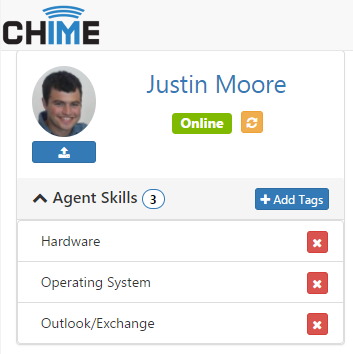 With the new Chime Home and queue pages, guests can now come and search through categories and get connected to an agent via skill tag routing. 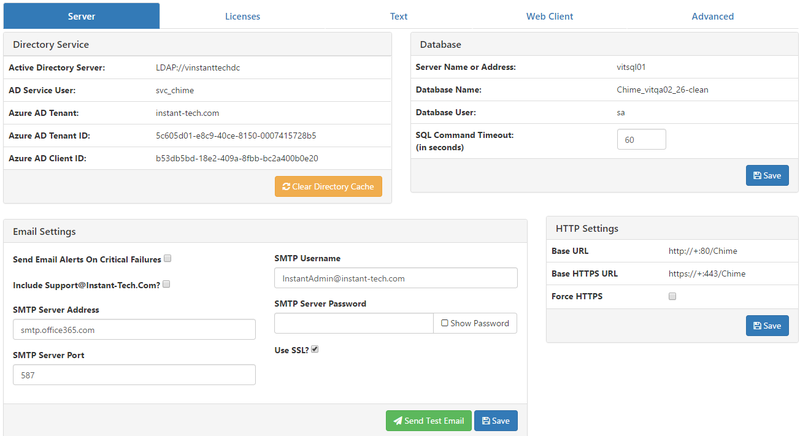 Guests can also choose a number of settings such as background, layout, and theme. 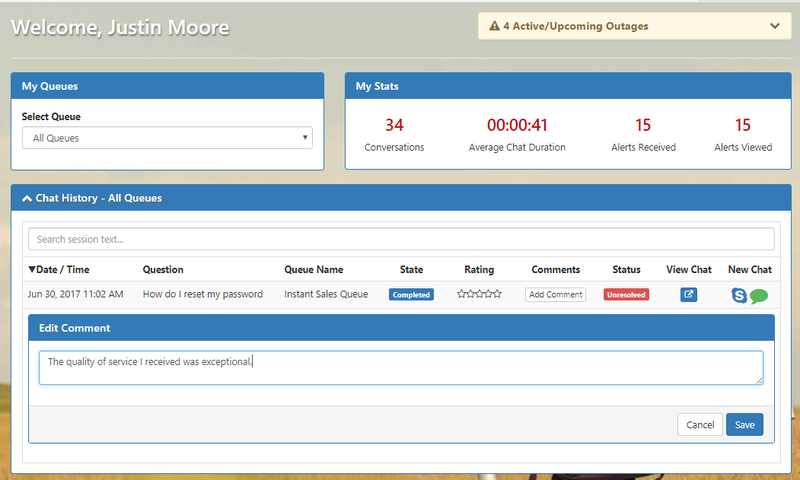 We've also added a Guest Dashboard so guests can see their chat and alert histories, and even rate and comment on a chat session. 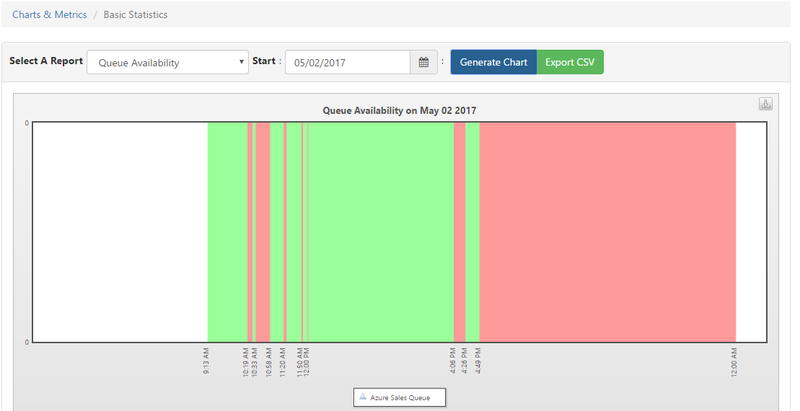 We've added several new features for better deflection and routing. 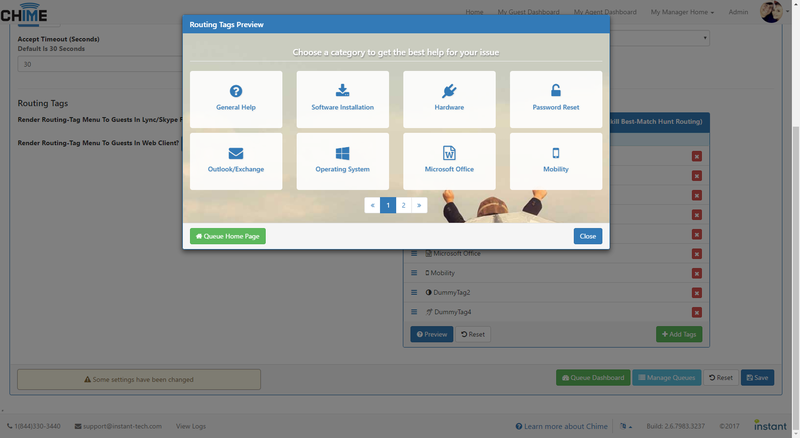 Managers can now create and configure routing tags at the queue level. 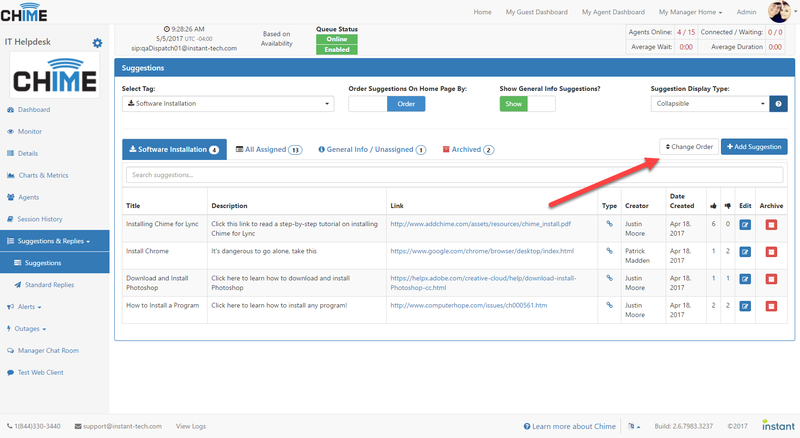 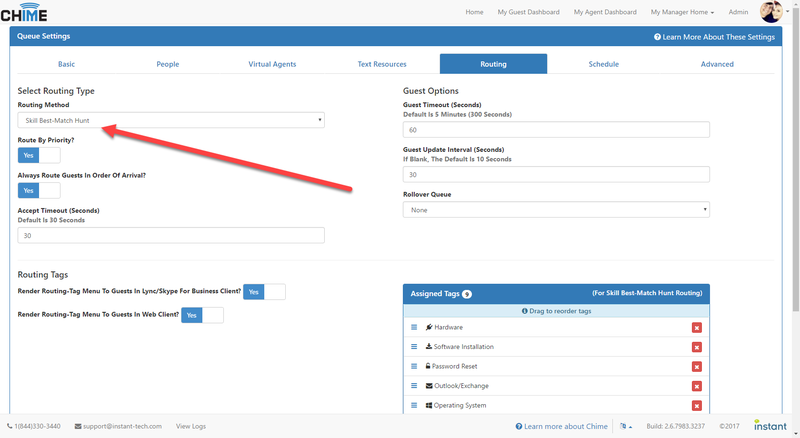 They can create and assign suggestions to queue routing tags that will be displayed to the guest on the home page. 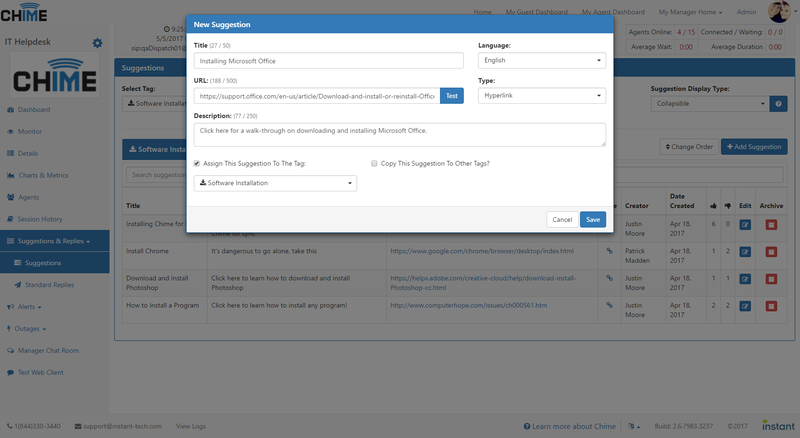 (We've even added drag and drop support to make reordering tags and suggestions a breeze!) 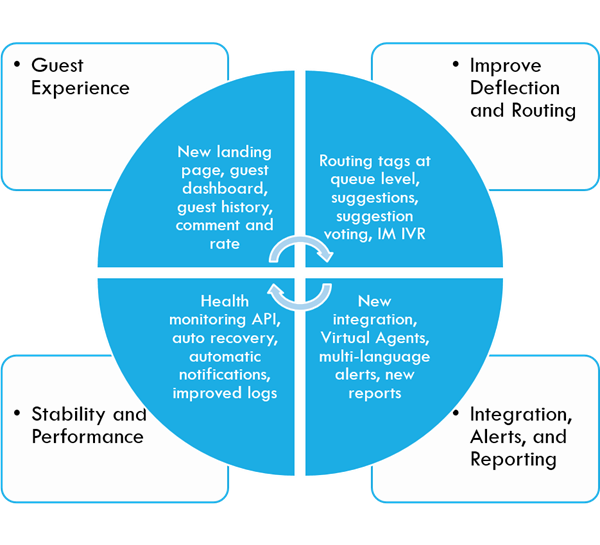 Suggestions can have a significant impact on deflecting guests through self help, and those that do need to chat can be routed to the agent that is assigned that routing tag for quick and specialized support. 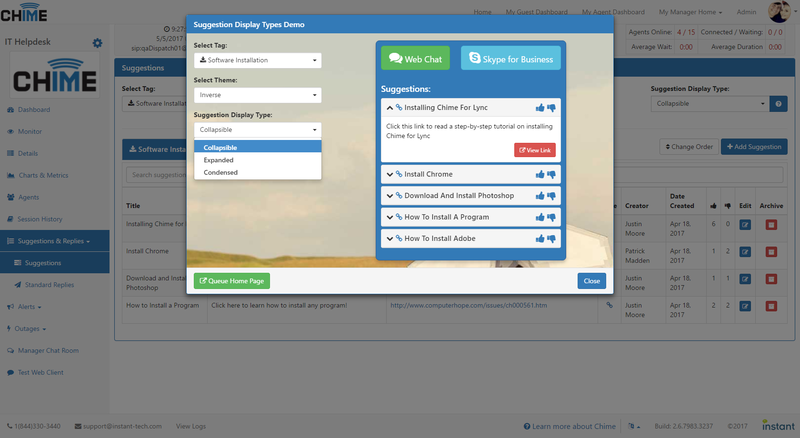 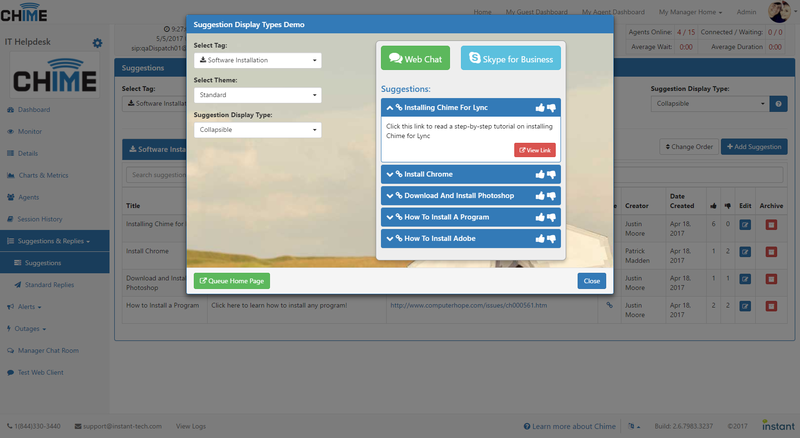 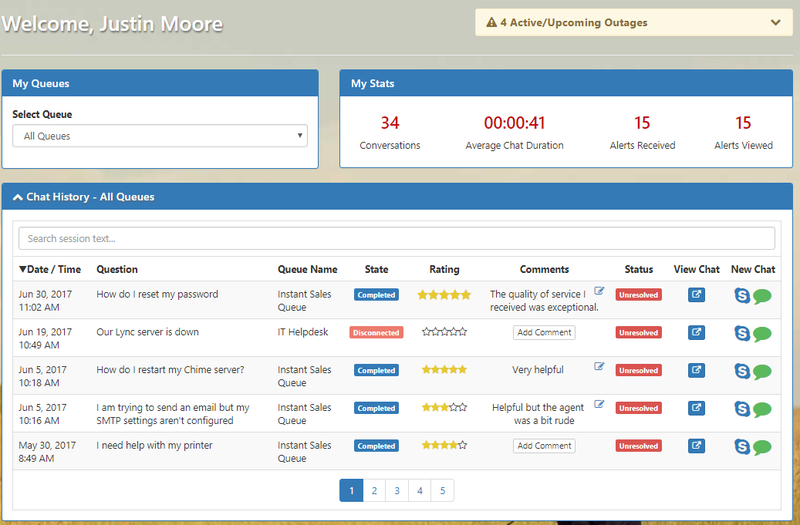 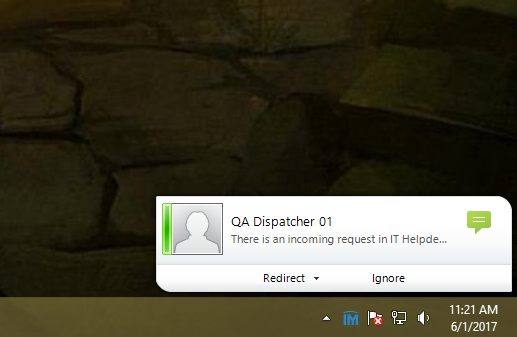 To further support this concept, we've added an IVR-like menu to both the web client and the Lync/S4B clients. 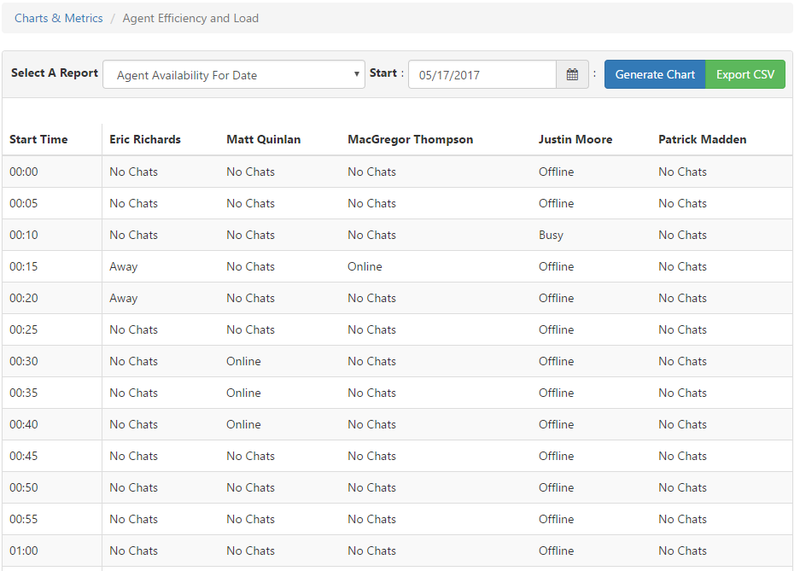 This menu will allow guests to select a problem area and be routed to an agent with that skill tag. 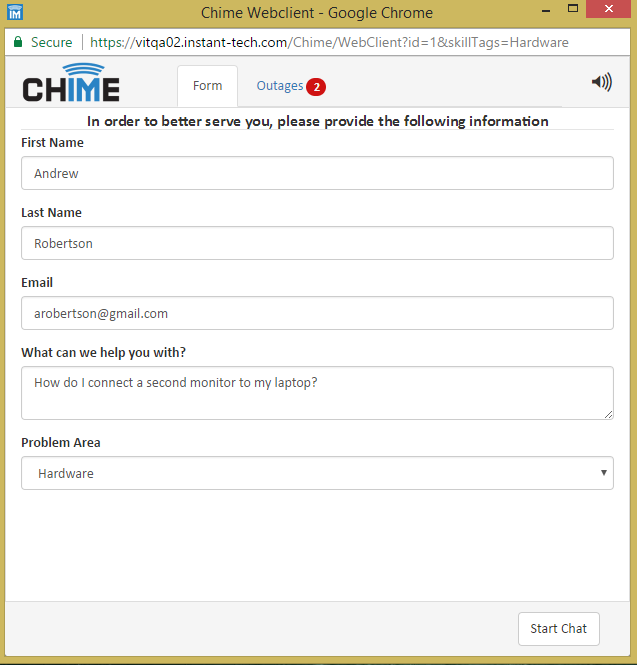 We've added a substantial amount of stability and performance changes to Chime 2.6. 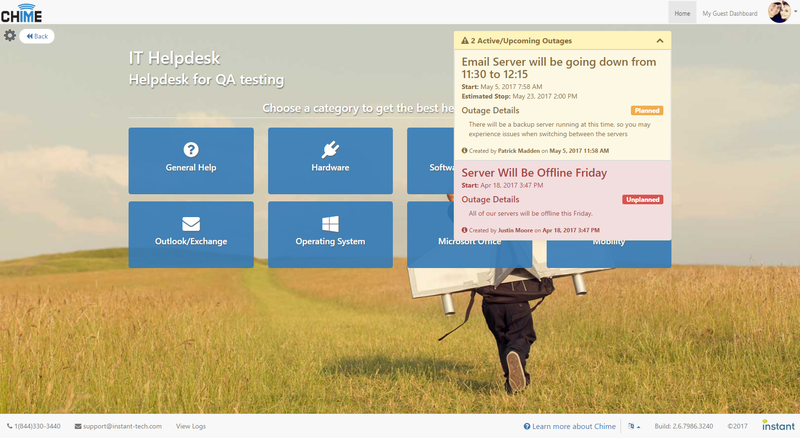 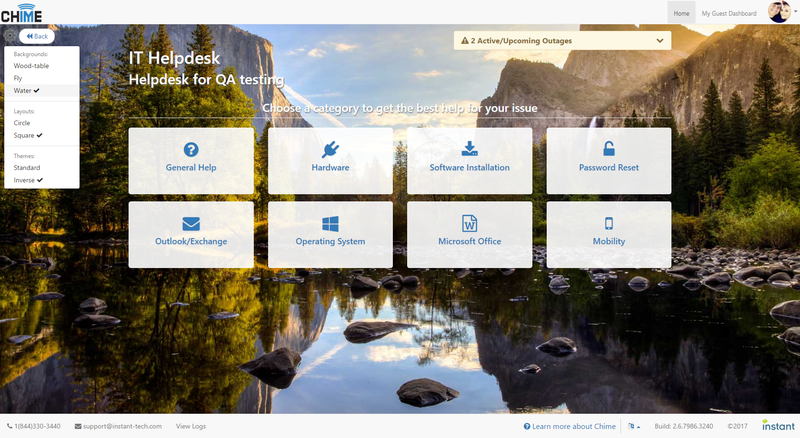 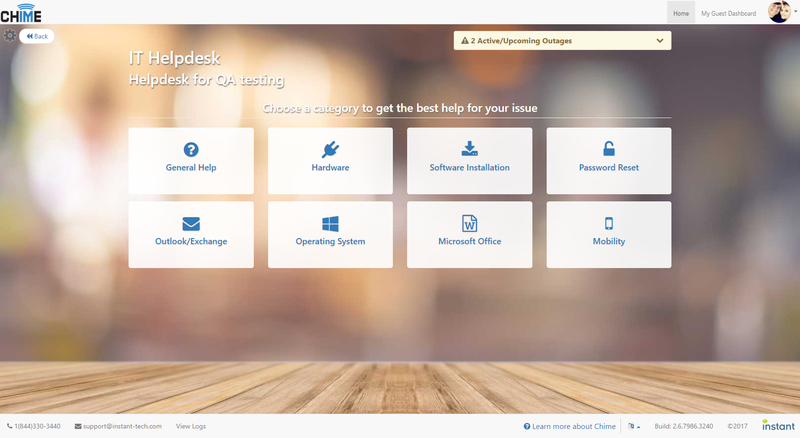 Chime works better than ever for Office 365 deployments, thanks to queue stability improvements and auto-recovery capabilities. 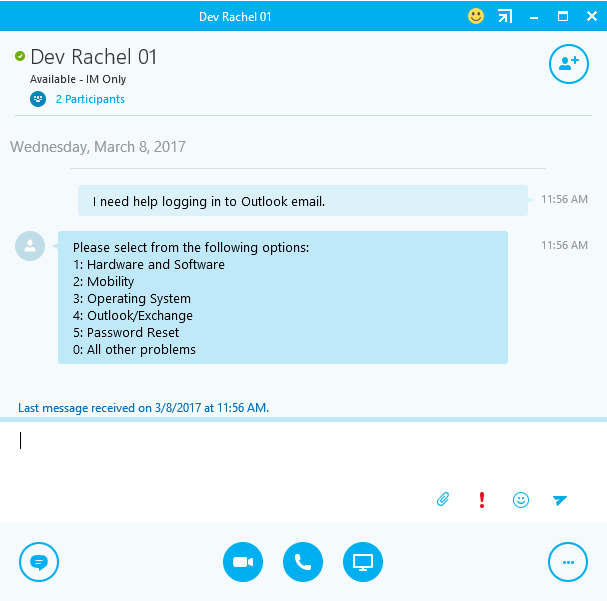 The development team is on the cutting edge of new roll-outs with the Skype for Business Online API, and we’ve been able to achieve 10x performance improvement for alerting with new changes to the UCWA API. 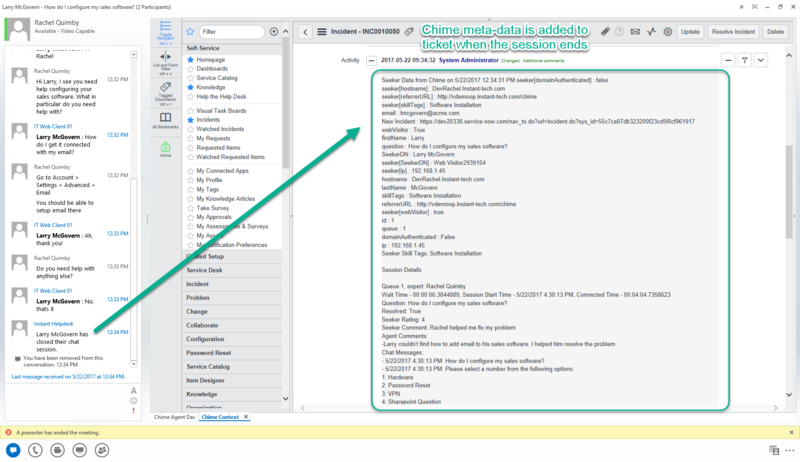 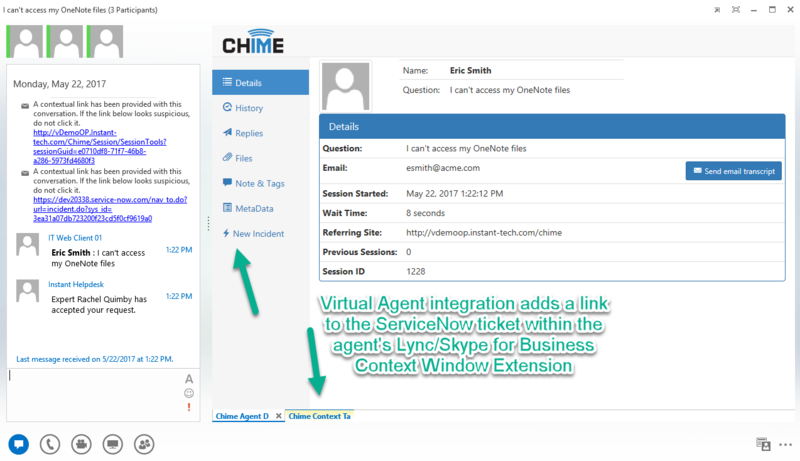 We’ve also added monitoring capabilities to provide the best experience for Chime administrators. 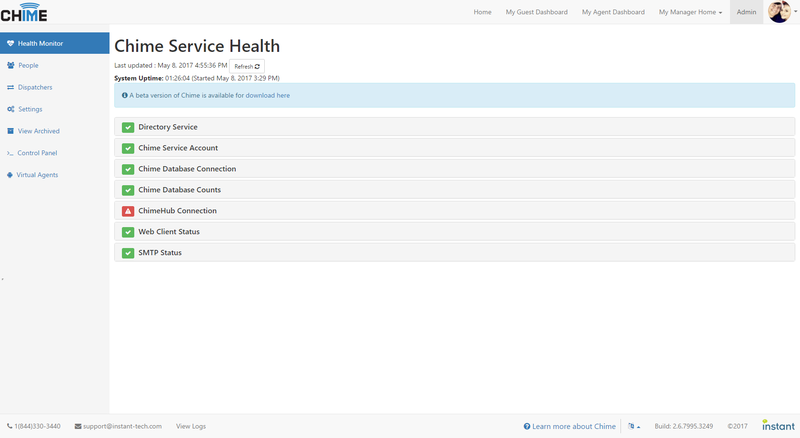 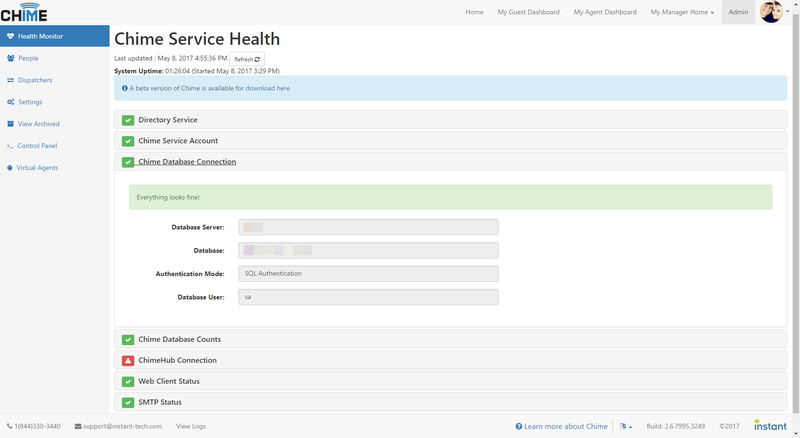 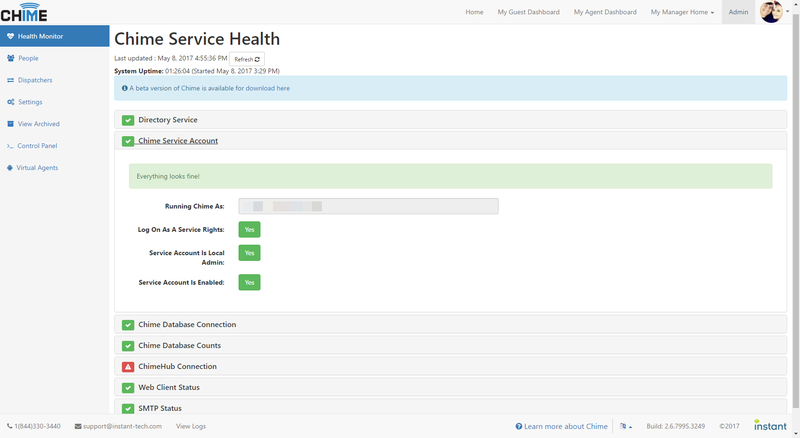 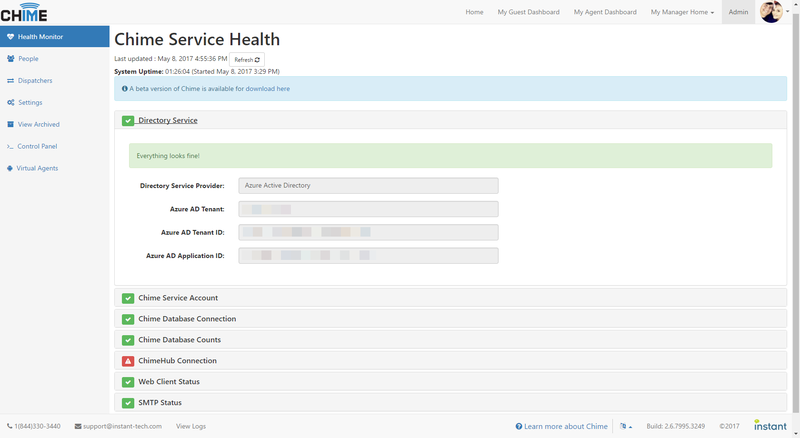 The new Chime Health Monitor app and API provides comprehensive health monitoring of the system and will notify admins within minutes if the service loses functionality. 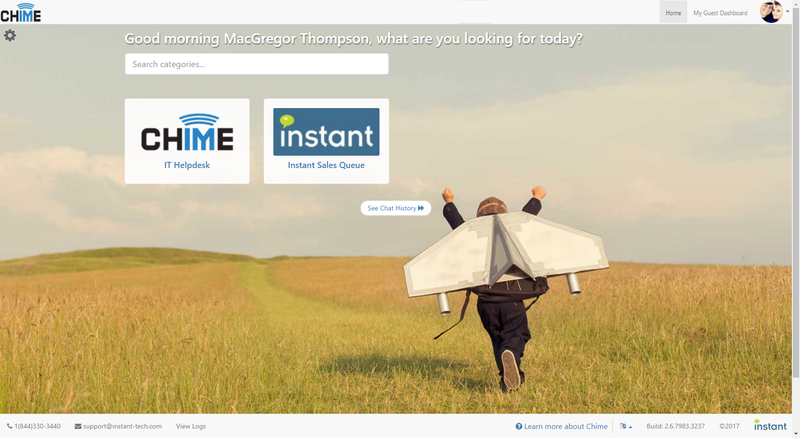 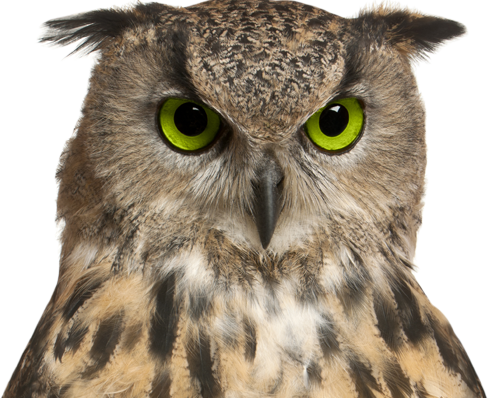 With new and smarter virtual agents Chime integration has taken another giant leap forward. 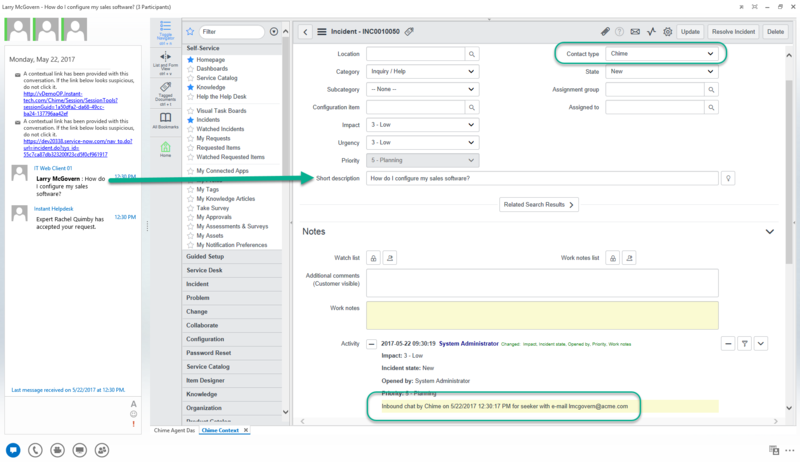 Alerts support multiple languages, ability to upload alert recipients from a .txt file, and more. 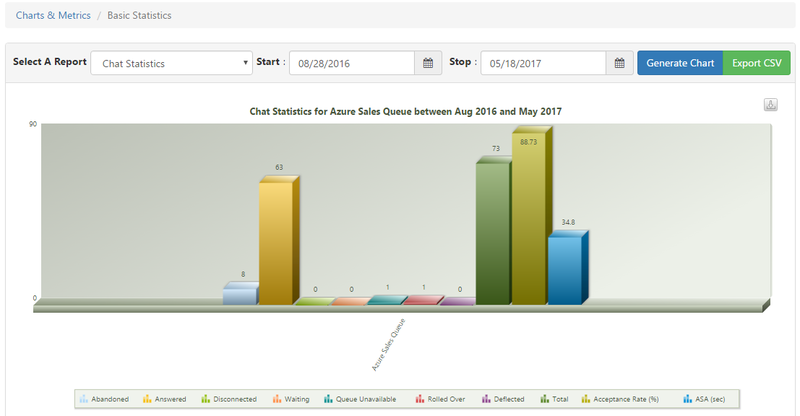 There are a dozen new charts and reports. 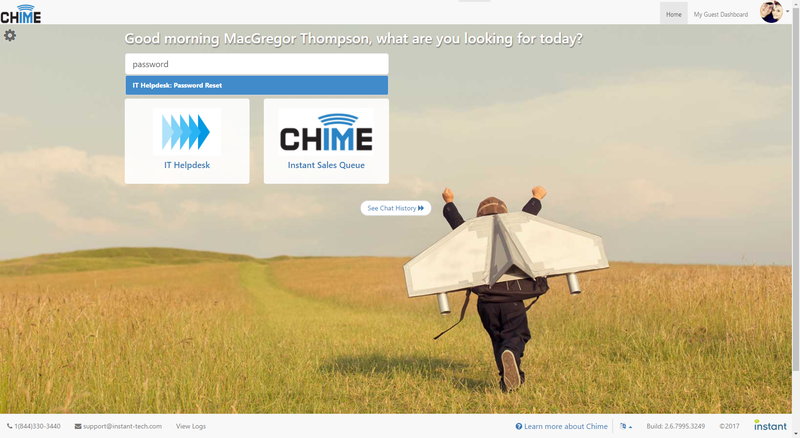 The entire Chime app now has the ability to be translated into another language at the click of a button. 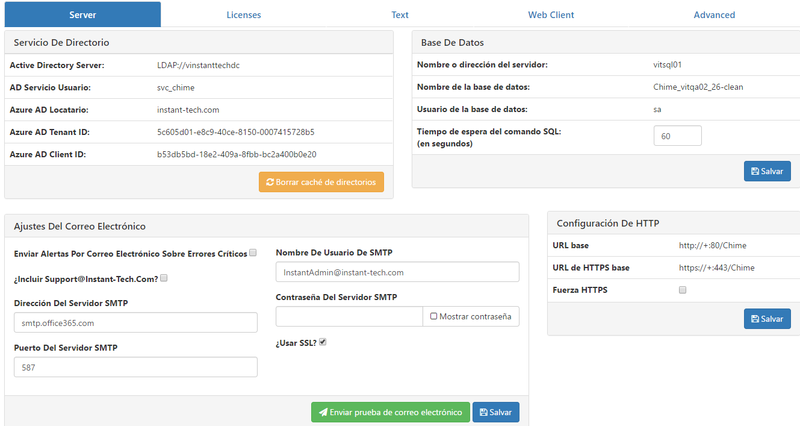 Each guest and user can set their own language preference from a list of languages in the footer. 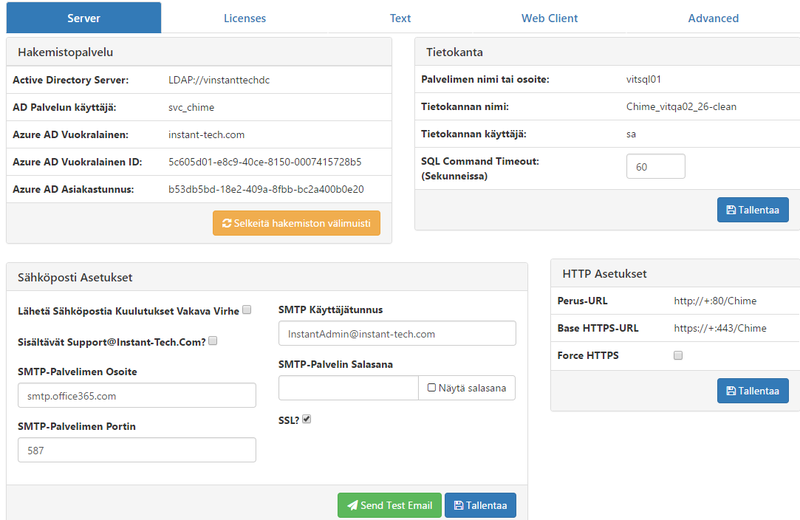 Currently, we support English, German, Spanish, French, and Finnish. 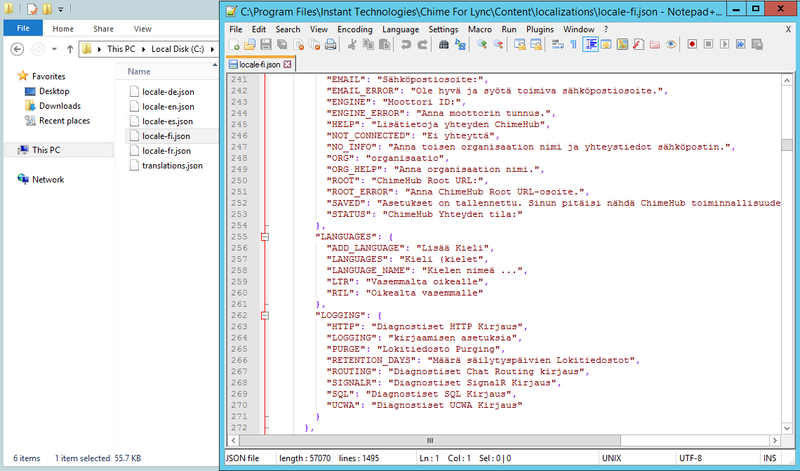 The translation files are also easily accessible so they can be fine-tuned if needed. 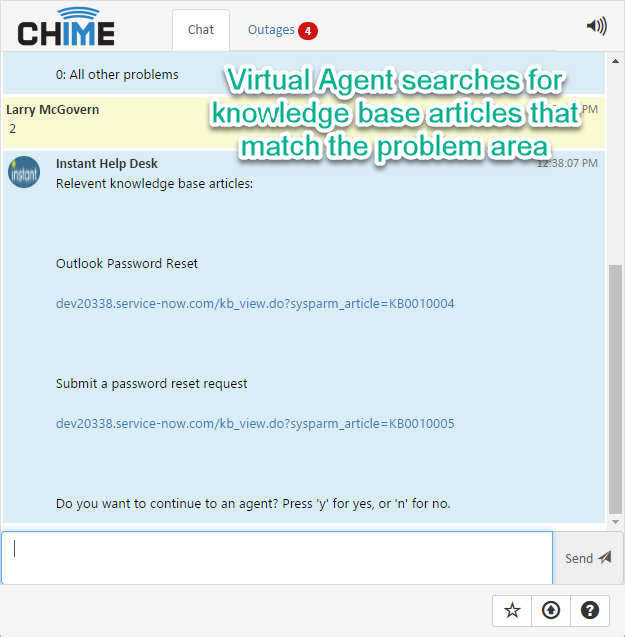 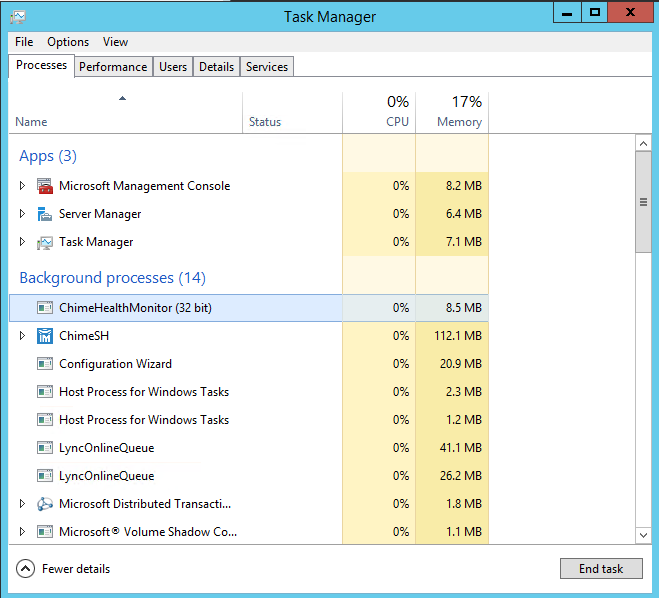 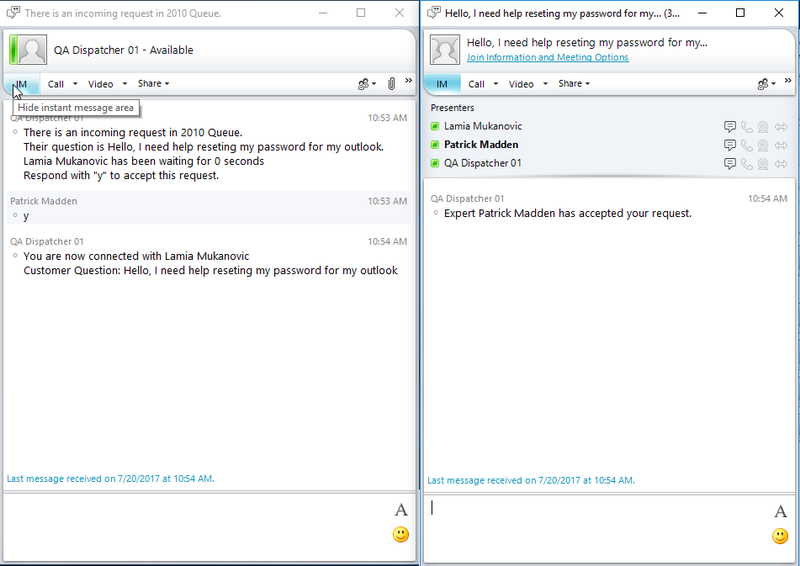 Like most other Skype and Lync clients, Microsoft Lync 2010 can easily be used in Chime for Lync 2.6. 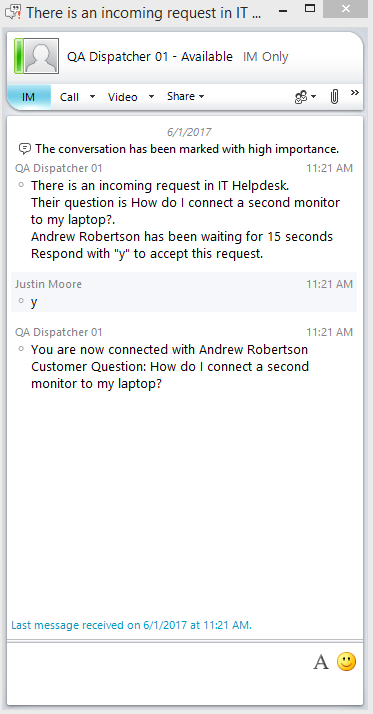 To view a video demo or photo gallery of Lync 2010 being used, click one of the two links below. 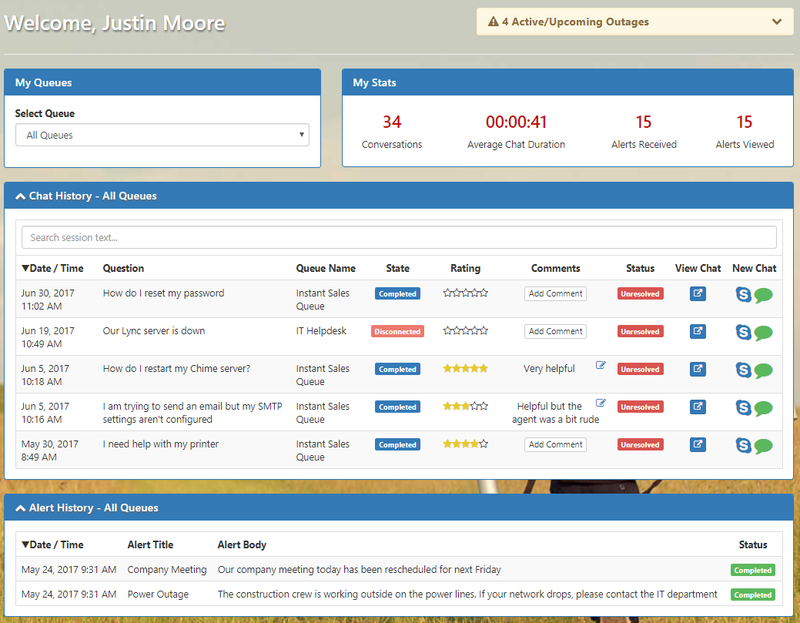 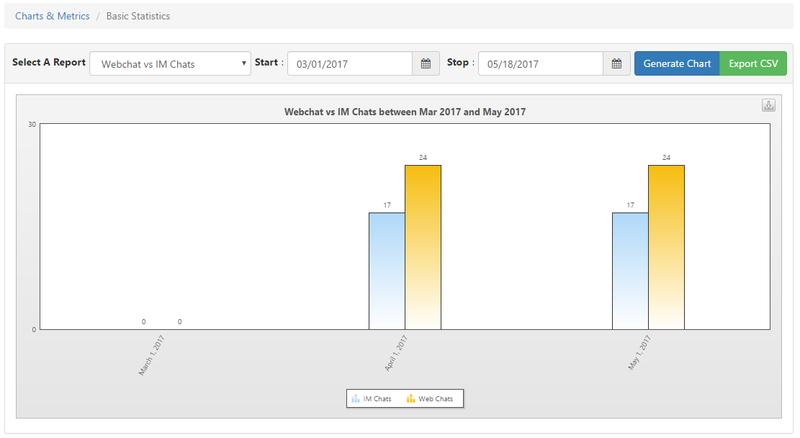 My Stats section which displays the total number of previous chat sessions, average chat duration, and the total number of alerts received and viewed.